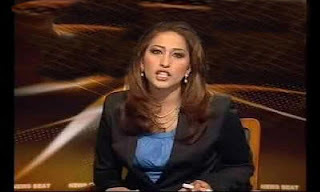 Following her unceremonious exit from Samaa, Meher Bokhari has joined Dunya reportedly on a hefty salary, insightwithad.blogspot.com has exclusively learnt. Bokhari who hosted Newsbeat on Samaa will be anchoring a new current affairs program on Dunya and will operate out of Lahore. There had been rumors earlier that she might join Express News. The reason being cited for Bokhari parting ways with Samaa was her program’s falling ratings. She becomes Dunya’s second big-name signing in recent weeks after the arrival earlier of Mubashar Luqman from Express News. Meanwhile, Dunya has also lost some heavyweights of late - Najam Sethi moving to Geo and Nusrat Javeed and Mushtaq Minhas returning to Aaj.